Karnataka deputy chief minister G Parameshwara has ordered weekly inspections at all Indira Canteen outlets. This, after BJP corporator Umesh Shetty alleged that the quality of food served in Indira Canteen was substandard. Bengaluru: Indira Canteens came under scrutiny after it was accused of providing substandard quality food. Karnataka deputy CM G Parameshwara has ordered weekly inspections to check for cleanliness and quality of food in each outlet. The deputy chief minister and Bengaluru Mayor Gangambike Mallikarjun inspected one of the Indira Canteen kitchens and outlets. During his visit, Parameshwara asked officials to collect food samples from all the kitchens and canteens and send it for testing. He went on to warn the staff that strict action will be initiated if cleanliness is not maintained in the kitchens and canteens. Parameshwara’s visit comes just days after BJP corporator Umesh Shetty had alleged that Indira Canteen had been serving substandard quality. Shetty had said that Pourakarmikas - cleaning staff who consume Indira Canteen food on a daily basis - took ill after eating here. Umesh Shetty, the corporator from Govindarajanagar (Ward 104) in Bengaluru, then took it upon himself to get the food tested. He sent food samples to the Ramaiah Advanced Testing Laboratory and to the government-run Public Health Institute. Lab reports suggested that the food samples, collected from the Indira Canteens at Byatarayanapura, JP Nagar, Jayanagar and Nagapura wards on 20 February, were indeed contaminated. The report suggested that the Bisi Bele Bath was bacteria-ridden, and it was concluded that the sample was unfit for human consumption. 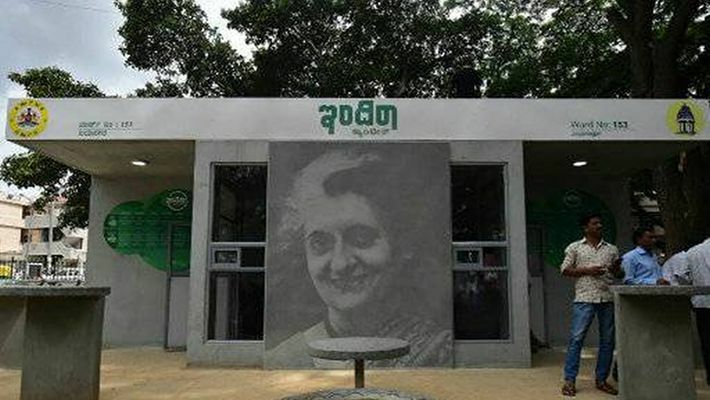 Indira Canteens was a government initiative by former Chief Minister Siddaramaiah and is a food subsidisation programme for the urban poor, run by the Karnataka government. It is present in all the 198 wards of the city and functions like the Amma Canteen in Tamil Nadu which was introduced by late chief minister J Jayalalithaa. The present JD(S)-Congress coalition government has continued with the implementation of the scheme like many other populist measures initiated by Siddaramaiah.